Max Fasmer, compiler of the etymological dictionary of Russian clearly opined about the origin of the word "shamshura”. 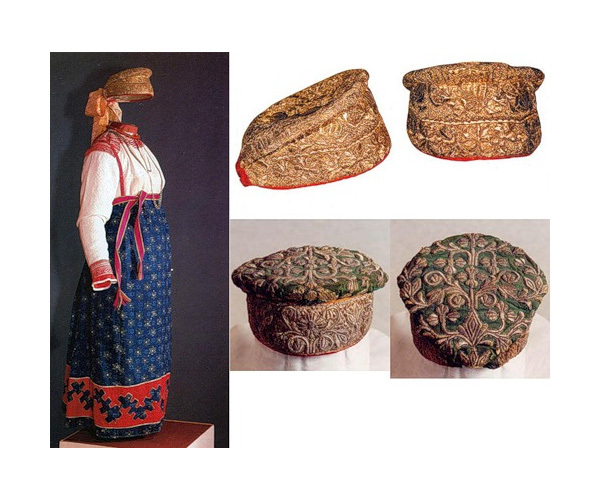 His opinion was, "A moot word.” Based on the fact that shamshura is especially popular with the peoples of the Russian North, such as the Lapps, the Komi and the Russians in the Arkhangelsk and Vologda regions, it can be assumed that both the word and the headdress were borrowed, from the non-Slavic peoples of the north. 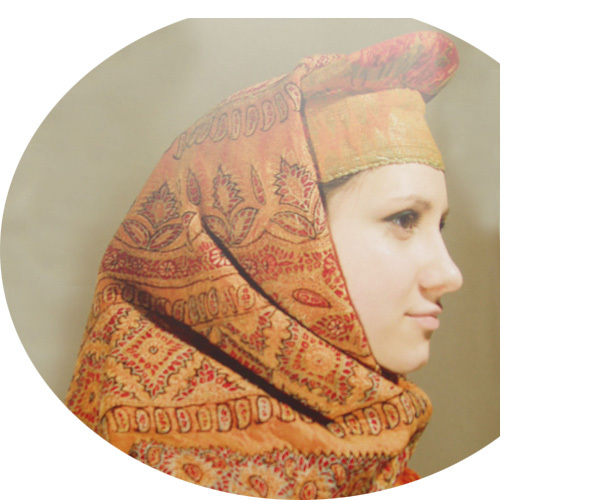 Nevertheless, the shamshura, which is a women’s headdress on a solid foundation is quite common throughout Russia. Here we have a sample made of cotton fabric, which covers the round base of the bottom made ​​of wood. 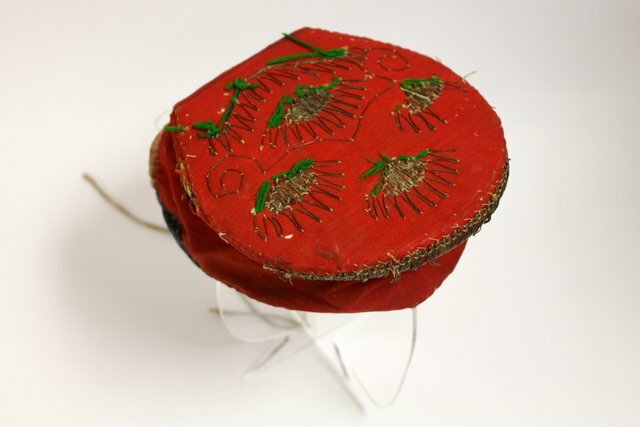 This solid foundation helps make the front part of the bottom plate project forward that was typical of many women's headdress in Russia. Embroidery on bottom is hand made. At the rear the shamshura is contracted by cord in the manner of other headdresses of Russian women, povoynik or sbornik.